The children went on an exciting sleigh ride today to the north pole to see Santa. We had an amazing time and all came home with a present. Talk about how you celebrate at home. Just dance Diwali style….The celebrations continue in Nursery! Today the boys and girls were very excited to learn and join in with some special dance moves and followed some actions this morning as we continue our Diwali themed week. This week, although a little early, we have decided to learn all about Diwali, ahead of the coming celebrations. The children have been really enthusiastic and excited to explore all of the new resources in our different learning spaces. The children have learnt that Diwali means ‘Row of lights’. Take a look at the boys and girls enjoying their learning! Show me those counting fingers. The children have really enjoyed exploring our new theme this week learning all about ‘Our Body’. We have explored the different parts of our body and what we can do with our bodies. The children enjoyed our new funky finger song, Head, shoulders knees and toes, building body parts with the brick in the construction area and counting and representing number with the sand hands! What a fabulous week of learning and finding out! 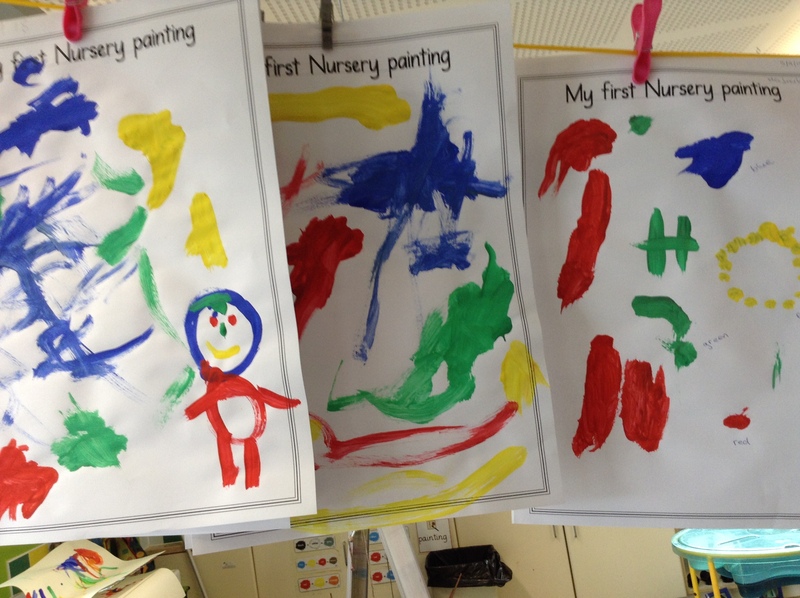 Keep it up Nursery! The boys and girls are excited to get busy in our new and improved small world construction site outside today. The children interact with the diggers, build with the bricks, dress up and become fixers with the builders tools and even make a road with the foam bricks. The first few days of term have all been about pupils coming in and learning some of the routines and the biggest step being away from Mum and Dad. Sometimes that is harder for the parents to say goodbye that the children as they have such fun. We will post a little about what we do over the week on the blog so at home you can chat to your child about their learning and maybe even try some things at home. Today the children were extremely excited and enthusiastic with our special visitor Tim and his gribbly bug friends! The children met lots of mini beasts including a caterpillar, Milli the millipede, an African snail, a stick insect and a tarantula. Most of the children were very brave and enjoyed touching and holding some of the mini beasts and Tim was also very impressed with all of the interesting questions and comments the children had to share.